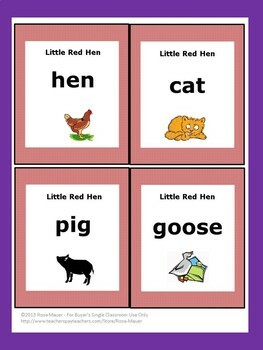 Little Red Hen is a classic story that all will love! 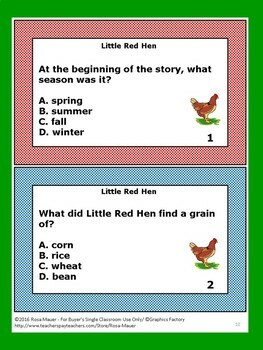 These task cards are for "The Little Red Hen: A Favorite Folk-Tale" by J. P. Miller. Questions are provided in two task card sizes and in a printable worksheet format. 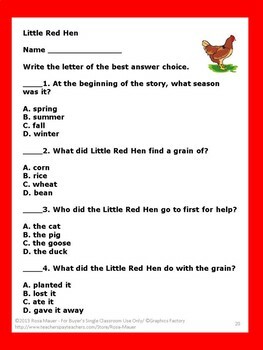 A response form for students and answers for the teacher are provided. 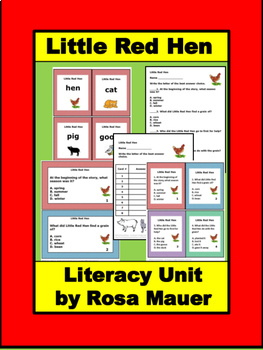 Little Red Hen vocabulary word cards are also included.